The following guideline details (recommendations for the use of your unit) are specifically outlined to avoid personal injury, property damage and accidental damage and maintain your unit. These recommendations made to help you keep your unit in the best working order for its given lifetime. Please read all the information in this section before using the unit. Make sure you hang your lamp in a safe fashion. Using quality hooks and parts to secure it into your selected gardening position (vertically or horizontally). Use the gauge of cable that is supplied with the unit and ALWAYS use all four (x4) anchors. The weight of the unit determines the size and quality of a hook that is needed to safely mount the portable luminary device (LED grow light). 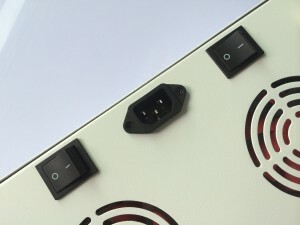 The hooks that are provided are passed in accordance to the testing done by CSA. The hooks that are provided can be used to suspend the LED grow light in the following conditions: For a plaster, dry wall, or similar ceiling by way of 2″x 4″ studs and for a wood, acoustical tile, or similar ceiling consumer should use 1″ x 2″ furring strips. Do not use a hook that is of different material or lesser of caliber than the one that has been supplied as it may result in being insufficient to suspend the weight of the light safely. Do not mount the light to a surface other than suggested or in an inappropriate fashion that may result in an unsafe situation. JUST LED US luminaries are suitable for damp locations but DO NOT get them wet or immerse it in water. In circumstances where water may be used, turn off the unit and make sure it is in a position where it is away from all sources of water. If you are using a light timer make sure it is properly rated according to the size of light(s) you are using. Use of a surge protector is recommended for your light as fluctuations may damage the unit. Connect the unit to a properly grounded outlet only. Do not unplug the unit by pulling on the power cord. Do not place face of the unit directly on table or other flat objects, this goes for units that are powered up and also for units that are not powered. Do not handle the units by the optical reflectors because they are delicate. If it becomes punctured, call for technical assistance and arrange for repairs. DO NOT obstruct the ventilation openings on the LED Grow Lamp. We do not recommend smoking around your LED grow lamp. Do not drop, bend, puncture, insert foreign objects or place heavy objects on top of your lamp. If you decide to use the unit vertically prevent all vents from being blocked to allow maximum air movement from all vents, as air circulation is important not only for your unit but for your plants as well. Keep your lamp(s) clean and periodically check your fans for dust. DO NOT clean with any fluids such as water, oil, organic solvents, etc. 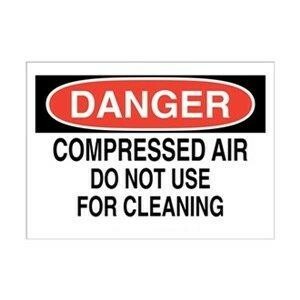 DO NOT use compressed air when unit is on as this may cause fire. Using compressed air to clean forces the dirt and dust particles into the air, making these contaminants airborne and may create a respiratory hazard. Injuries can be caused by the particles made airborne (as they re-enter the air). These particles can be a further danger since they can enter your eyes or abrade skin. Always TURN UNIT OFF/UNPLUG and wipe with a dry cloth. DO NOT run lamp continuously, this is a precautionary measure to prevent overheating and malfunction. Failure to do so may cause damage. COB series grow lamps are for indoor use only. Recommended Height Variable: 0.3 metres ~ 1.5 metres. If making adjustments with lamp, TURN UNIT OFF/UNPLUG. 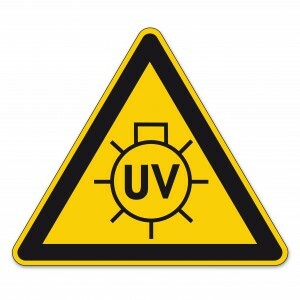 WARNING this device may produce potentially harmful UV light. Protect eyes and skin from exposure to UV light. 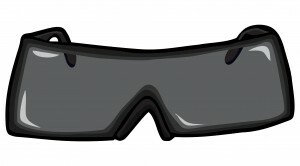 ALWAYS wear UV-resistant safety glasses at all times around UV light sources! Always prioritize your safety and the safety of others. Use PPE-Personal Protective Equipment such as sleeved shirts when working within the vicinity of your LED grow light. 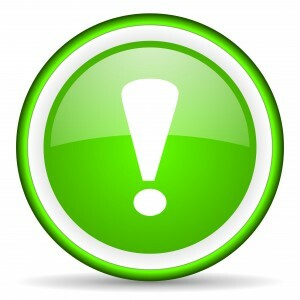 JUST LED US Inc. encourages owners of technology to responsibly rec ycle their equipment when it is no longer needed. 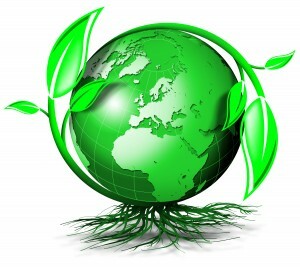 Please contact JUST LED US Inc. to get assistance in recycling your products. The above guideline details are specifically outlined for your safety and to maintain your unit. They are posted on JUST LED US Inc. website to be displayed for a permanent reference so in no event it can be misplaced or lost. You may also want to reference the Full Length Owner’s Manual at owners-manual-online-resource/ or contact us at customerservice@justledus.com to request a full length owner’s manual print version. Please think of the environment before requesting a print version.